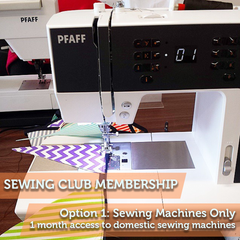 Bring your half sewn projects along to our monthly sewing social. 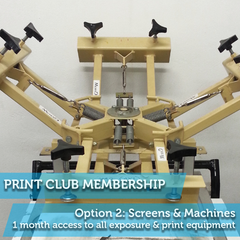 If you're feeling lonesome sewing at home, make friends and be productive in our studio! This isn't a class, there's no teacher, but it is a drop-in session for people already sewing. 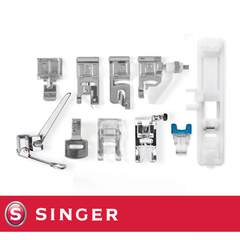 Consider it the monthly kick you need to tick items off your sewing to-do list. 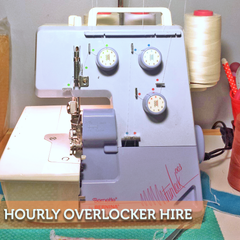 We have a limited amount of sewing machines and overlockers available for hire, as well as a whole lot of cutting space available for you to spread out in, chat to other sewists and swap techniques. Meet and mingle with like minded people while you reduce your sewing stash one garment at a time. We provide tea, coffee and biscuits, or you're welcome to bring along your own afternoon snacks - we've got a fridge and microwave in our kitchenette available to use. Feel free to bring along a beer or wine to enjoy in the afternoon, but we reserve the right to ask anyone who makes other patrons feel uncomfortable to leave (or to take a time-out). Bobbin and Ink is a safe space and we want to welcome everyone to hang out with us, just be respectful of the people around you. Please wear closed in shoes for safety. 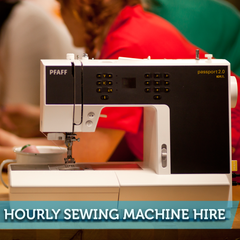 Bring your own machine or work on some hand sewing to keep the cost down. Entry is free for Sewing Club Members but bookings are essential so that we don't run out of space. 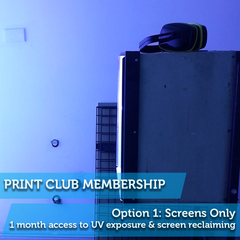 If you have any questions or problems booking in, just send us an email. Finishing that pile of sewing projects! 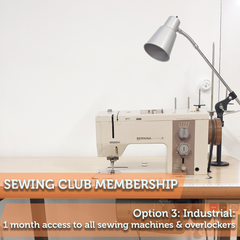 If you bring your own sewing machine - $15 covers power use, studio rent for the day (we've all got bills to pay) and free tea, coffee and bickies. 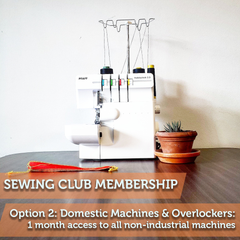 If you need to borrow a sewing machine - if you've got a current Sewing Club Membership (Domestic, Overlocker or Industrial) , entry is free, otherwise, $30 gives you access for the day and signs you up for 1 MONTH of Sewing Club Membership for Domestic Sewing Machines. 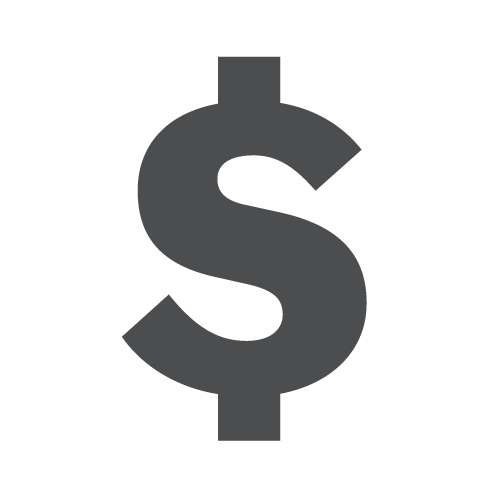 If you are hand sewing - there's a $10 charge that covers studio rental, tea, coffee and bickies. Please wear closed in shoes and no loose jewellery should be worn. This session is subject to Bobbin and Ink's Cancellation Policy.